Ex-Chief Justice Maria Lourdes Sereno disclosed that she has rejected "offers" to have a dialogue with President Rodrigo Duterte to patch the feud between the administration and the Supreme Court and possibly along to seek the withdrawal of the Quo Warranto case filed against her. She added that "I did not compromise. I stood firm. If I compromised, I would become a weak chief justice." "Hindi puwede na ang politicians ang magsasabi o magdidikta sa bayan, kailangan Constitution (The politicians should not say or who will dictate the nation, it should be the constitution)," she said. And yet Sereno is acting like the traditional politician with her photo ops, her media declarations, her waving and smiling at her supporters, and even photos of her praying to God. This female must be the most hypocritical person on earth. 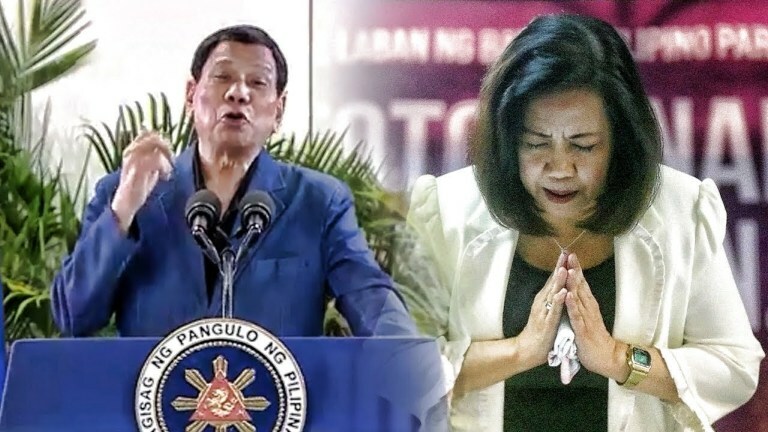 Sereno did not speak with PDU30 because she knew that it will get her nowhere. She knew that the president does not interfere with the legalities of an ongoing investigation.